Bedtime becomes part of the fun! 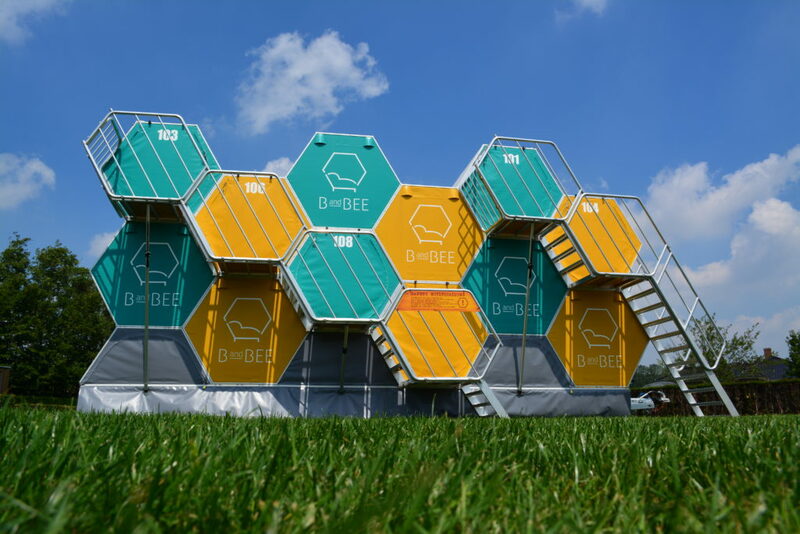 B-and-Bee is a perfect solution for temporary sleeping accommodation at events and festivals. With these sturdy, secure, trendy and innovative units, bedtime just becomes part of the fun. We can build them quickly and on any surface. The sleeping units come ready-made in blocks of 12 on a trailer and can be connected to your heart’s content. In this way we allow you to increase your sleeping capacity in a small area. Perfect for adding that little extra something to your event! I want to provide temporary high quality sleeping accommodation for visitors or staff during my festival or event. I am looking for a way to create lots of sleeping accommodation in a small area. I want to keep those camping at my festival closer to the action. These units are especially made for festivals and events. They provide comfortable, sturdy and compact sleeping accommodation that we can install and remove really rapidly. These units are always supplied in sets of 12 and are fixed to a trailer, four floors high, and feature a secure system of steps. The trailers are simply attached to each other. In this way they form a long row of sleeping units. 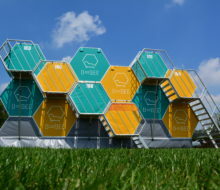 The honeycomb-hotel is quick to install, suiting you and your visitors. Let the fun bee-gin! These remarkable and innovative units are real eye-catchers. You can’t miss them, and people can’t resist seeing them. This means they are also an ideal way to promote your own organisation. 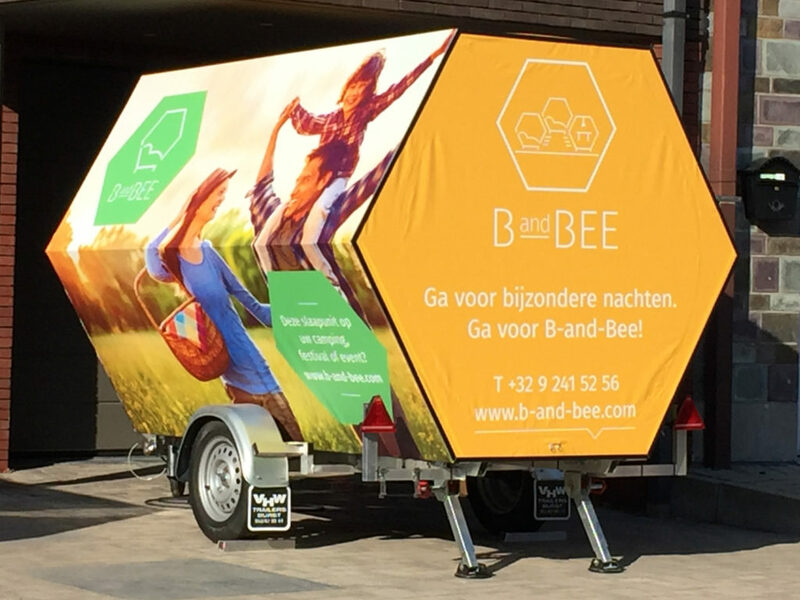 Or how about using the B-and-Bees to help sponsor your event? This means that you can reduce the cost of sleeping accommodation even more. We can personalise the front and the back of each unit however you want us to. 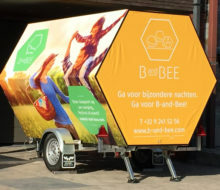 More branding for your event? Allow units to be sponsored? Everything is possible! Contact us.